First of all, I would like to celebrate Prince Oberyn and Ellaria Sand who are two of the most interesting characters introduced in this season. 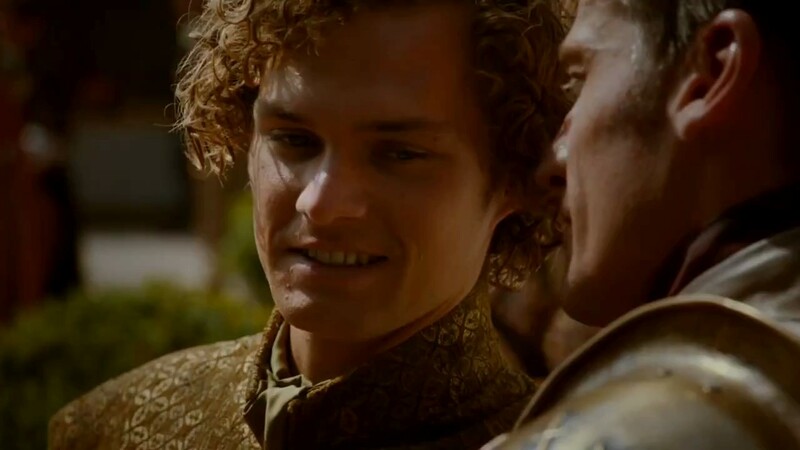 I think that this two will bring some chaos with them and we can see that he has an interest in Loras Tyrell, the future husband of Cersei. 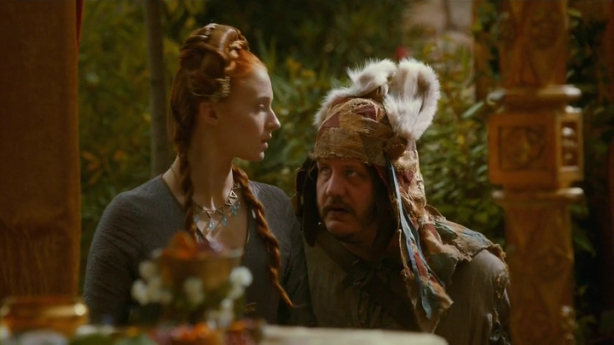 I don’t know if this two will getting married but it seems that Jaime is not so happy about that. Speaking of Jamie, during this episode we understand that Brienne has a crush on him and that Cersei knows about it. What will happen? I hope that Cersei won’t kill her because Brienne is a really strong characters and a relationship between her and him will be simply great. 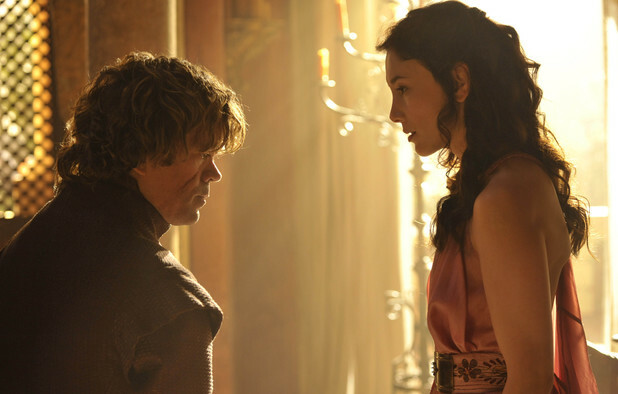 In the meanwhile, Tywin discovered that Tyrion has a relationship with Shae so he decided to kill her. Luckily Tyrion discovered the plan and he decided to send her away from the capital. 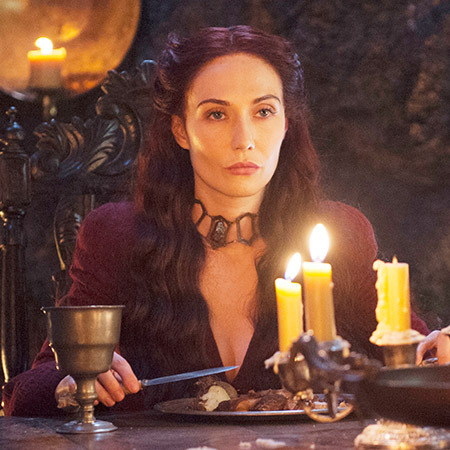 In the meanwhile, at Dragonstone, we can see Melisandre again. She is, like usual, doing some bonfire with some humans. It’s a normal day at the office right? Queen Selise is now completely crazy and she thought that her child is a sinner. Are you crazy? I mean, you are completely sick if you think that your young child is a sinner and if you think that she deserves some kind of punishment (bonfire?). Luckily the King didn’t agree with her but, in the end, they decided to send Lady Melisandre to talk to her. 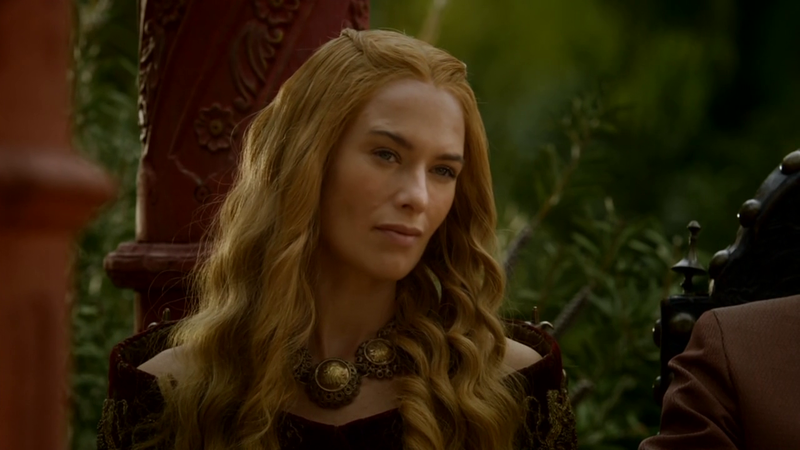 I know that Lady Melisandre is powerful and crazy, but I think that she is not as evil as we tought. I think that she will do something important in the future thanks to her magical powers. Let’s see. After the bonfires, we have to return to the wedding because everything will change in a minute. Joffrey is mocking Tyrion heavily and Cersei is so happy about that (I don’t really know if I like her or not because she is mean but, you know, she is the queen and nobody can hates the queen). 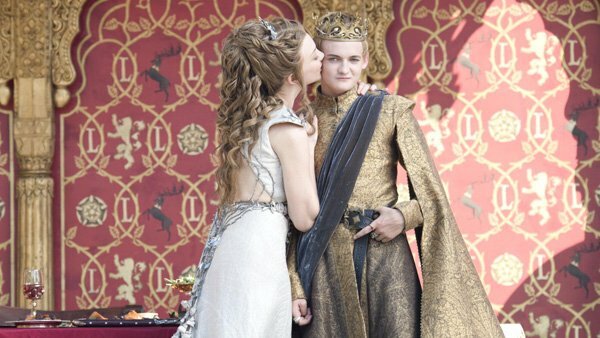 But, after drinking some wine offered by Tyrion, Joffrey died. Yes, yes, yes, yes. 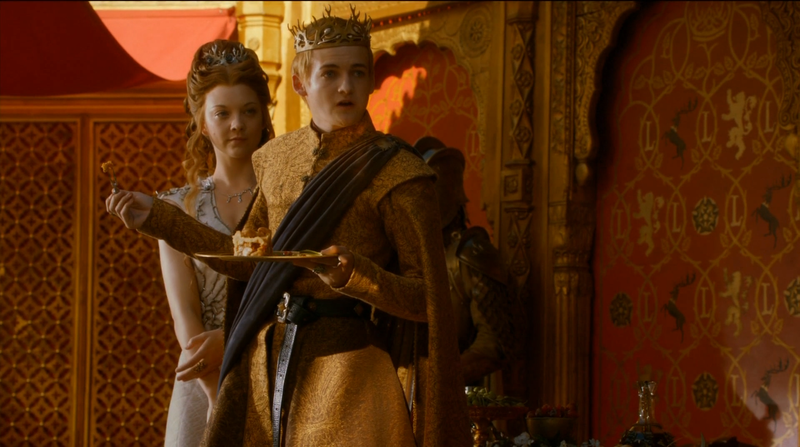 King Joffrey is died! Finally, after three season of his evil face, we will never see him again! Yeah!! But, who killed him? Not Tyrion because he only served the goblet with the wine. It seems that Dontos did it because he said to Sansa to escape with him. If Dontos did it, I think that he deserves an awards. The jester killed the king, it’s so ironic and ingenious. Now a lot of new questions came, first of all, who will be the new king? Tommen Baratheon, the younr brother of King Joffrey? I hope not because this character is so useless. Who will married Margaery? What will happen to Tyrion? Sansa will be able to escape? I think that all this questions will have an answer in the next episodes of the series and in the last I would like to thank to the creator of this episodes because it was amazing. 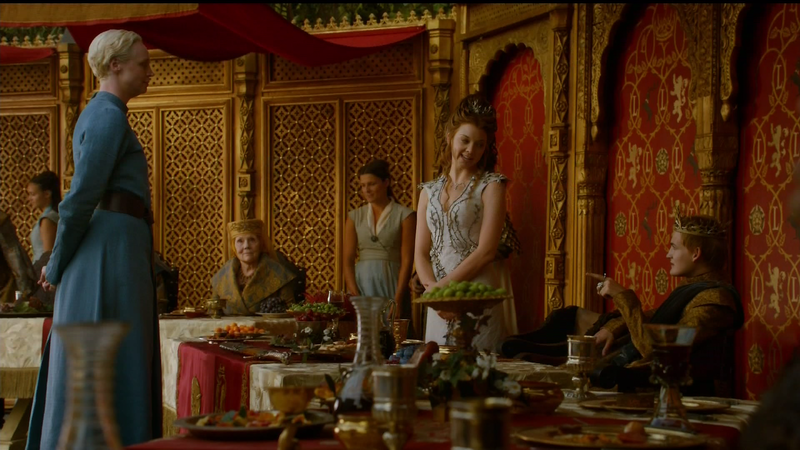 I think that the Purple Wedding was more exciting than the Red Wedding. 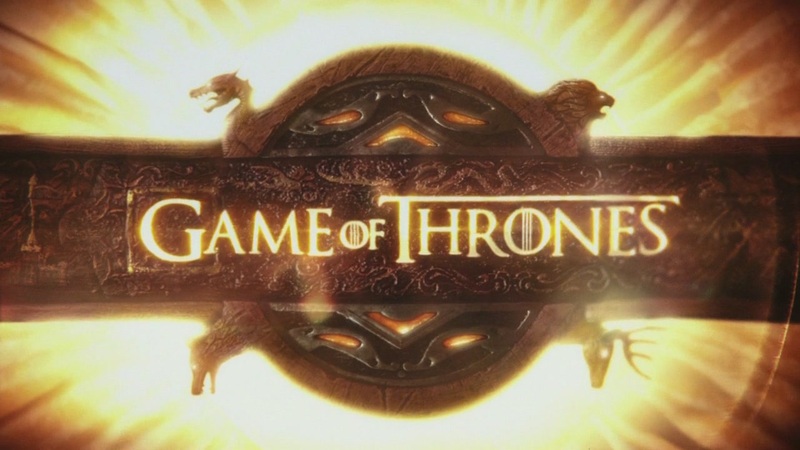 In the end, I would like to point out that in this episodes the Icelandic band Sigur Rós appeared during the wedding with their song “The Rains of Castamere” created for the show.